Opportunities and challenges facing small- and medium-sized enterprises (SMEs) in getting involved in the Fourth Industrial Revolution and global value chains were discussed at a workshop in northern Hai Phong city on November 21. Vu Viet Ngoan, head of the Prime Minister’s economic advisory group, said to be part of global value chains and Industry 4.0, SMEs should be confident and active in integration. He noted SMEs contribute more than 30 percent of Vietnam’s GDP and provide jobs for more than 50 percent of the workforce. Bidhan Roy, a director at the US-based Cisco Systems, said digitalisation helps SMEs in ASEAN not only take part in cross-border trade but also expand their business and cut expenses. SMEs have different scales and are in different development stages, and not all of them can reserve resources for IT. Therefore, more support from the Government and major businesses is needed to develop a concentrated digital economy. Vice Chairman of the Hai Phong municipal People’s Committee Le Khac Nam noted that many companies are still weak in integration and foreign language skills, do not dare to face challenges and lack vision and capacity of engaging in international labour chains. Michael W. Michalak, Senior Vice President and Regional Managing Director of the US-ASEAN Business Council (US-ABC), said the workshop, held by the US-ABC and the Hai Phong municipal People’s Committee, showed the US and Vietnamese business communities’ commitment to supporting the Vietnamese Government’s agenda, which looks to improve local SMEs’ competitiveness amidst Industry 4.0 and global value chains. The US-ABC and Hai Phong encourage SMEs to capitalise on sci-tech advances and opportunities to integrate into regional markets, he noted. The State Treasury of Vietnam raised more than 2.93 trillion VND (125.5 million USD) from Government bonds (G-bonds) in an auction at the Hanoi Stock Exchange (HNX) on November 21. According to the HNX, the auction offered a total of 5 trillion VND (214.2 million USD) worth of G-bonds with different maturities. Four tenures were available, including five-year and seven-year bonds valued at 500 billion VND (21.4 million USD) each, and 10-year and 15-year bonds worth 2 trillion VND (85.7 million USD) each. The auction of 10-year bonds mobilised over 1.83 trillion VND (78.4 million USD) at the average yield rate of 5.06 percent per year, up 0.03 percent from that of the previous G-bond auction on November 14. Meanwhile, the 15-year bond auction collected 1.1 trillion VND (47.1 million USD) at the average interest rate of 5.3 percent per year, the same as the last auction. There was no successful bid for five- and seven-year bonds. So far this year, the State Treasury has raised nearly 133.7 trillion VND (5.72 billion USD) from G-bond auction at the HNX, accounting for 74.3 percent of the yearly target. According to the Ministry of Finance, Vietnam expects to issue 180 trillion VND (7.7 billion USD) worth of G-bonds this year, with the focus being on long-term maturity and keeping the interest rate at low levels. G-bonds valuing at 159.9 trillion VND (7.03 billion USD) and having an average maturity of 13.52 years, up 4.81 years against 2016, were issued last year. The bonds had an average annual interest rate of some 6.07 percent, down 0.2 percentage points against 2016. The world’s leading tobacco group Philip Morris International (PMI) wants to learn more about the strategic vision of Viet Nam’s Government for equitisation of the Viet Nam National Tobacco Corporation (Vinataba). The statement was made by Stacey Kennedy, president of South and Southeast Asia Region at Philip Morris International, at a meeting with leaders of the Committee for Management of State Capital (CMSC) held in Ha Noi on Monday. According to Kennedy, PMI wants to discuss the value that PMI brings when the firm is selected as a strategic investor in the equitisation process of Vinataba. Ho Sy Hung, deputy chairman of CMSC, affirmed that the Committee always welcomes foreign investors investing into Viet Nam, especially enterprises under the management of CMSC such as Vinataba. Industry and trade departments in Ha Noi and HCM City are planning to spend VND28.5 trillion and VND18.4 billion, respectively, to prepare goods for next year’s Tet festival. Tran Thi Phuong Lan, deputy director of the Ha Noi Department of Industry and Trade, said the plan on preparing goods for the New Year and the Lunar New Year in 2019 will focus on increase of essential commodities. These include rice, meat, seafood, eggs, processed foods, fresh vegetables, dried agro, forestry and seafood products, confectionery, wine, beer beverage and fresh fruit. The total value of goods under the plan is estimated to increase by 10 per cent compared to the VND28.5 trillion spent this year. The volume of goods in stock will also increase by 10-15 per cent compared with normal months of the year to meet consumer demand during those occasions and to make sure goods are still available after Tet, Lan said. This plan on production, business and stockpiling of goods has been built based on the population, business situation of companies, market development and purchasing power in the first nine months of this year in the city, she said. Ha Noi’s goods will include 190,600 tonnes of rice, 44,000 tonnes of pork, 14,600 tonnes of chicken, 12 tonnes of beef, 256 million eggs, 254 tonnes of vegetables, 3,000 tonnes of confectionery and 200 million litres of beer and beverage. According to General Director of Trading Hanoi (Hapro) Vu Thanh Son, they plan to keep essential goods in stock and will organise sales points to avoid lack of goods before, during and after the Lunar New Year. Big supermarkets such as Big C, Fivimart and Vinmart have prepared enough supplies and avoid a lack of goods and overpricing. In addition, large supermarkets have prepared a large volume of fruit and imported food to serve high-end consumer. The HCM City Department of Industry and Trade has completed a plan with a growth of 23-36 per cent in volume against the same period of 2018, reported the Lao dong (Labour) newspaper. The total value of food and foodstuffs for two months before and during the Tet in 2019 was estimated at VND18.4 trillion, up 3.44 per cent compared to the same period of 2018. According to the department, to ensure goods reach consumers with the best price, enterprises will increase the sales points in remote areas, industrial parks, export processing zones, residential areas for worker and companies having a large number of workers. Meanwhile, Ha Noi’s authorities will also create good conditions for businesses to bring stocks to the rural areas, export processing zones and industrial zones, said deputy chairman of Ha Noi People’s Committee Nguyen Doan Toan. The city will promote control of smuggled, fake and poor quality goods as well as food hygiene and safety violations. According to the Ministry of Industry and Trade, in the last months of the year, demand on raw materials for production of consumer goods and goods for Tet has begun to increase so there is little increase in price as the supply of local and import goods is plentiful. With these developments, the ministry forecasts the local market this year will basically remain stable and ensure supply meeting local demand. Therefore, total revenue from retail sales and services in 2018 will increase by 10-11 per cent compared to 2017. In the first 10 months of this year, Viet Nam’s total revenue from retail sales and services grew as consumers paid more, reaching VND3.6 quadrillion (US$154.51 billion), a year-on-year increase of 11.4 per cent, according to the GSO. The increase accounting for inflation was 9.31 per cent, higher than the 8.79 per cent growth seen in the first 10 months of 2017. The Long Hau Corporation, owner of the Long Hau Industrial Park, has built a high-rise factory with many facilities that can help businesses save on operating costs. One of the biggest barriers of small- and medium-sized enterprises is the investment cost in factories. With high-rises, businesses can reduce initial capital expenditures and operating costs through shared use of common facilities in the building. The building is high quality, but offers lower rental costs than other standard factories. It also has a refrigeration system. The factory in Long Hau Industrial Park is designed according to modern standards with a solid structure and many functions. It has the necessary equipment for production and supporting industries. In addition, the high-rise factory in the industrial park has elevators, garages, power stations, backup generators, and a fire protection system. As the first high-rise factory in the Mekong Delta province of Long An, it aims to serve high technology and supporting industries. The industrial park is conveniently located three km from the Tan Cang – Hiep Phuoc Port, 25km from the Cat Lai Port, and 12km from Phu My Hung. The park has over 170 companies, including Vietnamese and foreign firms from Japan, Korea, India, the US and Europe. Over the past 25 years, the economic ties between Viet Nam and South Korea have flourished, but the trade imbalance between the two countries has reached an alarming level. Bark Tae Ho, South Korea’s former Minister of Trade, spoke on the topic during a seminar in Ha Noi on Friday. The seminar – themed “Future prospects for Viet Nam-South Korea investment-trade ties” – was organised by the Global Commerce Institute Lee & Ko, South Korea’s Trade-Investment Promotion Agency and the Viet Nam Chamber of Commerce. At the event, delegates assessed achievements in Viet Nam’s bilateral trade ties after three years of the Viet Nam-South Korea Free Trade Agreement (VKFTA) and discussed remaining issues. “Two-way trade is expected to grow to $100 billion by 2020, equivalent to an annual increase of 18 per cent over the next two years,” he said. Since VKFTA took effect in 2015, South Korean firms have capitalised on lower tariff duties under the FTA to boost exports to Viet Nam while Vietnamese firms have not taken the same step. As a result, Viet Nam’s trade deficit with Korea has widened sharply, Bark said. According Bark, exports from Korea to Viet Nam in 2017 were worth $48 billion, up 70 per cent after three years of VKFTA. However, exports from Viet Nam to Korea that year reached only $17 billion. In 2017, Korean firms poured $1.9 billion into projects in Viet Nam, but Viet Nam spent only $4 million on projects in Korea. South Korea remains by far the largest foreign investor in Viet Nam, having signed on to pour US$58 billion into more than 6,500 foreign direct investment (FDI) projects in the country as of the end of October, said Nguyen Duy Loi, Deputy Editor-in-Chief of the World Economic and Political Issues, Institute of World Economics and Politics under The Viet Nam Academy for Social Science. He added that Korean investment in Viet Nam is moving from labour-intensive industries to capital-intensive industries, especially in manufacturing sectors. In the future, Viet Nam and Korea should speed up the negotiation of the Regional Comprehensive Economic Partnership (RCEP), promote infrastructure exports from Korea to Viet Nam, widen and deepen the machinery production network between the two countries and accelerate technology transfer from Korea to Viet Nam as the Vietnamese government has changed the FDI strategy to induce more high-value-added industries, Heo said. FLC Group will build a complex of commercial aviation services, tourism resorts, industrial sites and hi-tech agriculture in the central province of Thanh Hoa’s Tho Xuan District between 2018 and 2023. The plan was discussed at a meeting between FLC and the province’s leaders on Wednesday. The complex is expected to cover an area of 3,700 hectares with an investment of VND10 trillion (US$430 million) in the first phase. The group has a plan to build the complex to international standards. It will take advantage of Tho Xuan Airport in the district. Bamboo Airways received an aviation business licence from the Ministry of Transport a day before, becoming Viet Nam’s fifth airline after Vietnam Airlines, budget operators Jetstar Pacific and Vietjet Air and Viet Nam Air Service (VASCO). FLC’s chairman Trinh Van Quyet said domestic aircraft repair services meet only 10 per cent of the demand and the remaining repairs are done overseas. The project will partly meet the needs of Bamboo Airways and will repair aircrafts in the region. There will also be a centre to train students in the aviation sector. Bamboo Airways alone will need at least 1,000 flight attendants and 500 pilots by 2019. However, all of them were sent overseas for training. If there were an academy, the cost of training would be reduced by at least 30 per cent. The group targeted co-operating with big aircraft manufacturers such as Airbus and Boeing to build spare part plants and even aircraft assembly line. However, project implementation would depend on land clearance of 3,000ha from the province. Nguyen Dinh Xung, chairman of the provincial People’s Committee, said the committee would accelerate land clearance and provide favourable water, electricity, transport infrastructure and administrative conditions for the project. FLC said that as soon as it is handed the first 60ha from the province in early 2019 it will start construction of the complex. The chairman granted a certificate to FLC Group to establish a branch of Bamboo Airways in Thanh Hoa Province. Thanh Hoa has been one of localities to which FLC has tried to bring both local and foreign tourists by air travel. South Korean investor Sunjin Group on Friday inaugurated an animal feed plant at Dong Van IV Industrial Park in the northern province of Ha Nam. The factory covers an area of 4.4ha with a total investment of US$25 million and a capacity of 240,000 tonnes of products per year. According to Sunjin Group’s chairman Lee Bum Kwon, the highlight of the Sunjin Plant in Ha Nam was to provide a completely different product that addressed the difficulty of feeding piglets. Speaking at the ceremony, vice chairman of the provincial People’s Committee Truong Quoc Huy, said the operation of Sunjin F&F would meet increasing demand, contributing to boosting the livestock sector in Viet Nam and the province. Huy also hoped that Sunjin would comply with the law and fulfill its obligations while achieving high revenue and efficiency. The vice chairman requested industrial parks and other departments and sectors in the province to continue to support and create a favorable environment for Sunjin F&F factory to do business in the area. Sunjin F&F in Ha Nam Province is the fourth animal feed plant of Sunjin Group in Viet Nam. Construction of the factory started in February 2017. Quang Binh Province’s Department of Construction has urged commercial banks to tighten control over real estate loans to prevent speculation which is pushing up land prices in the central province. Vo Van Tuan, head of the Housing and Real Estate Management Department, was quoted by Xay Dung (Construction) newspaper as saying that raising interest rates for real estate loans should be considered as a way to prevent speculation. The provincial construction department would make the land planning and projects’ information available to the public so that people could get accurate market information. Tuan said that the management on real estate brokerages should also be enhanced. The department’s statistics showed that land prices in Quang Binh increased by around 10-15 per cent annually over the past three years but saw a whopping rise of 40-50 per cent in 2018 compared to the end of 2017, triggering worries about a land price fever. At the 48th World Chief Financial Officers Congress in HCM City on Friday, the AsiaInvest Group and MoolahSense signed a memorandum of understanding to jointly launch a digital lending platform to benefit small and medium-sized enterprises in Viet Nam. “This is an opportunity for SMEs and start-ups in Viet Nam to have a transparent and effective funding source when loans from local banks are limited and hard to access,” Nguyen Ngoc Bach, chairman and CEO of AsiaInvest, said. The MOU puts in place a roadmap to establish a joint venture that taps into their respective strengths to provide tech-driven financing solutions to address the financing gap plaguing small business in the country. According to the 2017 economic census by the General Statistics Office of Viet Nam, there were 517,900 businesses in the country, 98 per cent of them SMEs which account for 40 per cent of GDP and 50 per cent of jobs. But according to the Viet Nam Chamber of Commerce and Industry, only 30 per cent of SMEs have access to loans from the formal sector while the rest still have to use their own funds or depend on unregulated loans. The joint venture lending platform is expected to change that. Established in Singapore in 2013, MoolahSense has received a full capital markets services licence in its home market. It has so far lent over US$51.4 million to more than 600 companies with loan sizes ranging from $36,700 to $1.47 million. With a network of 14,000 registered investors, the platform has offered instantaneous funding to some of its SME borrowers to grow their business. Borrowers can either procure their funds with a fixed rate or subject their rate to the market via a reverse Dutch auction mechanism. Investors can subscribe to an auto-allocation algorithm to ensure that their portfolio will be diversified across multiple SMEs across various sectors. Many Vietnamese firms have won export contracts at the Private Label Show 2018 recently held in the US city of Chicago, according to the Ministry of Industry and Trade’s Vietnam Trade Promotion Agency. Specifically, the GOC Food Processing Export JSC signed a deal for a shipment of 350 containers of cucumber, chili and others worth 4.2 million USD. In particular, coconut milk by Bitremex Vietnam has been selected to be among the 200 new and innovative products on display at the event’s Idea Supermarket space. Others reached a number of deals to ship farm produce and processed products to the US such as cocoa, milk, aloe juice, fresh coconut juice valued at nearly 1 million USD. They were also requested by major US merchants to send samples to consider the possibility of future cooperation. During the event, the Vietnamese businesses had a chance to meet 1,500 partners from 60 countries worldwide, including those from supermarket chains, megamarkets, pharmacies, distributors for the militaries and governments, wholesalers, importers and online outlets. Vietnam has been considered the most attractive investment destination in the Asia-Pacific Economic Cooperation (APEC) region for the second consecutive year, according to the latest survey by PricewaterhouseCoopers (PwC). PwC, surveyed 1,189 CEOs and industry leaders from 10 May to 16 July with responses from each of the 21 Asia-Pacific Economic Cooperation (APEC) economies on the eve of the 2018 APEC CEO Summit held in Papua New Guinea from November 17-18. Despite the escalating trade war between China and the US, APEC leaders showed strong confidence that their revenue will increase over the next 12 months. 35% of all APEC respondents are ‘very confident’ in revenue growth over the next year, down slightly from 37% in 2017. 51% of APEC businesses have plans to raise their investment levels over the coming year. Business leaders from the US and Thailand are more upbeat (57% and 56% feeling ‘very confident’, respectively), while respondents in China and Mexico, two of the largest trading partners for the US, are below the APEC CEO average (25% and 21%, respectively). Meanwhile, 33% of respondents in Vietnam say they are ‘very confident’ about prospects for short-term growth for their companies, while 48% of other respondents are ‘relatively confident’. International trade is likely to continue to become a larger growth source for Vietnamese businesses. 40% of respondents expect increased revenue opportunities as a result of free trade agreements, while 34% of respondents forecast opportunities from multilateral agreements. With strong confidence in revenue growth, 51% of business leaders in APEC economies have planned to increase their investment levels up to more than 43% from two years ago. Vietnam, China, the US, Australia and Thailand remain the top five destinations for foreign investment by APEC business leaders with Vietnam maintaining its top spot for the second consecutive year. PetroVietnam Technical Services Corporation (PTSC) will be the supplier of a floating storage and offloading (FSO) system to the project of developing the Sao Vang-Dai Nguyet gas fields, which is invested by Japanese firm Idemisu Kosan. The Malaysia-Vietnam Offshore Terminal Ltd (MVOT) is a joint venture between PetroVietnam Technical Services Corp and Malaysia’s MIBS Bhd. It has won a 176 million contract to provide equipment for Idemitsu Kosan to develop the Sao Vang-Dai Nguyet gas project. The PTSC was picked as a sub-contractor to provide equipment for the projects. The contract of FSO supply and rental contract will last seven years with a total value of US$176 million. The PTSC said that the FSO will be completed and ready to receive the first condensate flows in July 2020. After being transformed from a tanker, the FSO has a capacity to store 700,000 barrels of condensate, double Idemitsu Kosan’s minimum storage requirement of 350,000 barrels. The FSO is designed to house 55 technical and operational personnel and a helicopter pad with the latest UK CAP 437 standard, capable of receiving Airbus H-225 or equivalent. The contract can be extended for another eight years. Joining the project of FSO conversion, the PTSC has sent a team of experts to Malaysia to carry out all stages of design, procurement, manufacture, installation and commission. At the operational stage, the PTSC expects to represent the MVOT to be responsible for 100 percent of the workload. PTSC General Director Le Manh Cuong said along with the FSO, his company will also participate in the entire development project of Sao Vang-Dai Nguyet fields. The Sao Vang-Dai Nguyet gas fields are located in Blocks 05-1b and 05-1c, about 350km southeast of Vietnam’s coast. Idemitsu Kosan is the operator of the offshore development with an ownership of 43.08%. Estimated output of the gas fields is about 1.5 billion cubic metres of gas per year and 2.8 million barrels of crude oil and condensate per year. Late in August this year, PetroVietnam signed a gas sale-purchase agreement with the developers of the field. The Republic of Korea (RoK)’s airline Jeju Air announced on November 15, it will launch a new air route linking Vietnam’s central city of Danang to the RoK’s Daegu City from December 22. Making it the 7th air route between Vietnam and the RoK that Jeju Air has offered. Seong Jin, Managing Director and Head of Public Relations at Jeju Air said the airline currently operates seven flights per week, with flights taking a total of four hours and a half. Jeju Air is one of the largest carriers amongst those operating between Vietnam and the RoK routes, with 63 flights per week on an average. One of the main achievements of Vietnam’s agricultural restructuring plan over the last five years is the formation of three product categories – national key products, local key products and those under the programme “one village, one product”. National key agricultural products are those with an export value of at least 1 billion USD each. Local key products are those that make up a major proportion of agricultural production and have great potential for expansion and technological application. The “one village, one product” programme focuses on special local products to ensure they are preserved and promoted. Agriculture expert Hoang Trong Thuy said the agricultural restructuring based on key product categories and the flexible priority given to the categories had created major changes for agricultural production. In the past, Vietnam gave priority to rice production, followed by aquaculture products, fruit and vegetables. Now, seeing the drop in rice prices, the country had changed its priority to aquaculture, fruit and vegetables. “The change helped generate the export value of fruit and vegetables last year to 3.45 billion USD with a year-on-year increase of 40.5 percent,” Thuy said, adding that for the first time, Vietnam’s fruit and vegetable export value had exceeded crude oil. Minister of Agriculture and Rural Development Nguyen Xuan Cuong said that during the restructuring process, localities nationwide had turned disadvantages into advantages. For example, the northern province of Son La had shifted from rice to longan, mango and citrus trees in mountainous areas. In the southern province of Tay Ninh, where weather conditions are unfavourable for farming, local authorities advised enterprises to study and invest in production areas as well as food processing plants. Cuong said that one of the positive results of restructuring was that more attention had been paid to post-harvest processing. This year, ten processing plants had been built across the country. However, according to experts, restructuring remained slow and was not ready for climate and market changes. For example, many localities had not identified key products and farmers preferred growing goods en-mass without considering about local planning or market demand. Thuy said despite the fact the country’s agricultural production had grown, it still faced challenges including complicated market changes and modest market forecasting ability. These challenges resulted in falling prices or oversupply of farming products, which negatively affects farmers’ businesses and incomes, Thuy said. He also said that technological applications in agricultural production/ processing and storage were limited. In 2013, then Prime Minister Nguyen Tan Dung approved a project on agricultural restructuring to raise added value and sustainable development. Vietnamese farm produce are now available in 180 countries and territories across the world. Agricultural products have earned the country 157.49 billion USD in the five-year period. Last year, Vietnam earned 36.37 billion USD thanks to exporting farm produce, including 8.32 billion USD from aquaculture products and 3.45 billion USD from fruit and vegetables. Export value in the first quarter of this year hit 8.7 billion USD, a year-on-year increase of 9.6 percent. Vietnam expects to gain 40-40.5 billion USD from farm produce exports this year. Vietjet’s cabin crew uniforms are officially the best in Asia. The airline has won the "Asia’s Best Flight Attendant Wardrobe” award in 2018 by NOW Travel Asia Magazine during a ceremony held last week in Chengdu city of China. Vietjet uniforms were designed by European designers based on the ideas of the youth army cadet uniforms. For female flight attendants, stylised red T-shirts, bow ties, shorts with a plaid hat and accessories such as flying wings, badges, brown belts and the prominent red shoes. In winter, the vest matches with shorts to bring the youthfulness, freshness. The male attire is not only smart but also dynamic with black trousers, business shoes and stylish polo shirts. Vietjet uniform harmonises the modern and traditional styles, which creates a break-through outfit, beyond the framework of normal uniforms. It brings the uniqueness and new look, demonstrating Vietjet’s youthful, innovative, and inspirational spirit to conquer and connect the sky, the airline said in a statement. Last year, Vietjet was also honoured in the top five airlines with the most charming cabin crew, in line with Singapore Airlines, Air France and Emirates. The results were publicly voted on Canada’s vivalifestyleandtravel.com, a lifestyle and travel website. Since 2012, NOW Travel Asia Awards have annually honoured outstanding tourism service providers throughout the Asia-Pacific region. This year, NOW Travel Asia Awards continues its awards to the high-end tourism sector including luxury hotels and resorts. This year’s highlights were not only the exceeded number of voting participants, but also the significant impact of the nominations and awards. These will help improve products and services in the industry. The Mekong Delta province of Ca Mau is exerting efforts to fulfil a target of 1.2 billion USD in export turnover in 2018. According to the provincial People’s Committee, from the beginning of this year, the locality’s export value surpassed 810 million USD, mainly from the export of frozen shrimp, equal to 67.6 percent of the yearly target. In October alone, Ca Mau earned 109 million USD from exports, representing a rise of 10.3 percent against that of the previous month. HCM City’s Index of Industrial Production (IIP) in the first 10 months of the year increased by nearly 8 per cent compared to the same period last year, propped up by high growth of electronic equipment and machinery. Production in electronic equipment and machinery sector grew by 17.3 per cent while the mechanical sector increased 8.35 per cent, according to the city’s Department of Industry and Trade. The total export of electronic equipment reached US$7.94 billion, an increase of 17.6 per cent compared to the same period last year, making up 30.78 per cent of total exports in HCM City. Manufacturers have begun to invest more in the domestic market and compete with imported goods, as opposed to focusing mostly on exporting. In addition, more companies are investing in modern machinery to produce automobile components. The other industries of the city such as food and beverage processing saw growth rise by 7.19 per cent and the chemical industry, by 2.82 per cent. The four key industries are continuing to grow strongly thanks to market expansion, investment in equipment and quality improvement. HCM City’s industrial sectors have seen good growth due to the city’s efforts in creating a better environment for investment and businesses. It will also hold more trade promotion events and develop an Exhibition Centre for Supporting Industry Products. 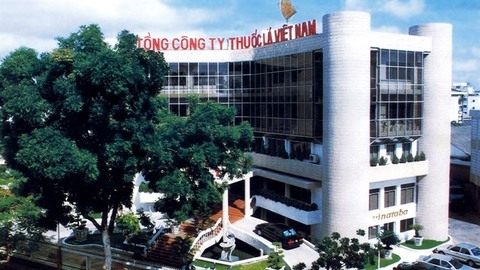 Le Nguyen Duy Oanh, deputy director of the HCM City Centre for Supporting Industries Development, said the city had created programmes to help support industries, including connecting local suppliers with foreign-owned and local manufacturers and training high-skilled labour. Last year, the city’s IIP increased by 7.9 per cent compared to 2016. Of this, the manufacturing and processing sector rose by more than 8 per cent and four major industries increased by 13.9 per cent, higher than the average rate of the industrial sector, and exceeding the target of 2017. The four key industries in the city achieved impressive growth. Notably, the electronic and information technology sector had remarkable growth. The IIP increased 39.1 per cent compared to 2016, although there were only 260 enterprises operating in the city. To reach the goal of 8-8.5 per cent growth in the city’s IIP in 2018, Nguyen Phuong Dong, deputy director of the department, said the department would help the People’s Committee organise meetings and tackle problems that firms are facing. In addition, the IIP would increase gradually over the past five years (6.58 per cent in 2013, 6.99 per cent in 2014, 7.24 per cent in 2015, 7.25 per cent in 2016 and 7.9 per cent in 2017). HCM City will call for investment in five sectors at the city’s second science and technology park, which is scheduled to open in 2019. The sectors are information technology, renewable energy, biotechnology, semiconductor circuits and applied space technology. The city will offer low-interest and long-term loans for enterprises investing in the sectors. Le Hoai Quoc, head of the Sai Gon Hi-Tech Park’s Management Board, said the aim is to attract big foreign companies to the park. Local enterprises will also have more opportunities for investment in the hi-tech park. However, local companies face more difficulties accessing capital and have less capital than foreign firms. A representative of one enterprise said that land rent, which was much higher than surrounding provinces, was the biggest barrier for local enterprises. Local enterprises also lack high-quality human resources because most of them are working for foreign-invested enterprises. The 200ha second science and technology park will be built in District 9 near the Sai Gon Hi-Tech Park. By 2020, the supporting industry for automobiles targets meeting 35 per cent of the nation’s demand for automobile components. PetroVietnam Technical Services Corporation (PTSC) has won a contract to supply a floating storage and offloading (FSO) system to a project being developed in the Sao Vang-Dai Nguyet gas fields by Japanese firm Idemisu Kosan. The Malaysia-Vietnam Offshore Terminal Ltd (MVOT) is a joint venture between PetroVietnam Technical Services Corp and Malaysia’s MIBS Bhd. It has won a US$176 million contract to provide equipment for Idemitsu Kosan to develop the Sao Vang-Dai Nguyet gas project. PTSC was picked as a sub-contractor to provide equipment for the projects. The FSO supply and rental contract will last seven years with a total value of $176 million. PTSC said the FSO would be completed and ready to receive the first condensate flows in July 2020. The contract could be extended for another eight years. PTSC has sent a team of experts to Malaysia to carry out all stages of design, procurement, manufacturing, installation and commission. At the operational stage, PTSC expects to be responsible for 100 per cent of the workload. PTSC General Director Le Manh Cuong said along with the FSO, his company would also be part of the entire development project of the Sao Vang-Dai Nguyet fields. The Sao Vang-Dai Nguyet gas fields are located in Blocks 05-1b and 05-1c, about 350km southeast of Viet Nam’s coast. Idemitsu Kosan is the operator of the offshore development with an ownership of 43.08 per cent. Estimated output of the gas fields is about 1.5 billion cubic metres of gas per year and 2.8 million barrels of crude oil and condensate. Viet Nam exported 5.2 million tonnes of rice in the first 10 months of this year, earning US$2.6 billion, the Ministry of Agriculture and Rural Development (MARD) has reported. The figure represented an increase of 1.7 per cent in volume and 14.1 per cent in value compared with the same period in 2017. According to MARD’s Department of Agro-Products Processing and Market Development, the rice export volume in October reached 264,000 tonnes, earning $136 million. China continued to be the largest export market of Vietnamese rice, accounting for 24 per cent of total exports. Meanwhile, Viet Nam saw a strong increase in the export value of rice to many other export markets such as Indonesia, Iraq, the Philippines and Malaysia. In the first 10 months, white rice still accounted for the largest segment at 58 per cent in volume and 55 per cent in value, followed by jasmine rice accounting for 24 per cent in volume and 28 per cent in value and sticky rice, 13 per cent in volume and 12 per cent in value. The structure for kinds of rice exported saw positive changes with a gradual increase of fragrant rice, sticky rice, and white rice of medium and high quality, while the volume of white rice with low quality reduced, accounting for about 2 per cent of total rice exports. The largest export market for jasmine rice was China, accounting for 25 per cent of total rice exports. Ghana was the second largest market with 21 per cent of the total. China was still the largest export market of Vietnamese sticky rice, accounting for 80 per cent of the total glutinous rice export. According to MARD, domestic rice prices will continue to increase as enterprises buy more to process rice for export orders signed in October and rice export contracts can be won by year end. The average rice export value in the first nine months was $503 per tonne, up 13.7 per cent over the same period last year. The jasmine rice export price hit the highest level at $575 per tonne, followed by Japonica rice at $526 per tonne. Meanwhile, Viet Nam’s five-per cent broken rice had a price at $410 per tonne in the first half of October, higher than Indian rice at $372 per tonne and the similar rate at $411 per tonne for Thai rice. Cut-off and simplification of investment and business requirements are important policies of the government for significant changes in the business environment and competitiveness of the economy. The government on November 7 issued Decree No. 151 to cut off and simplify 117 business requirements in five sectors under the management of the Ministry of Finance (MoF), including securities trading, according to Bao Viet Securities Company (BVSC). The decree is aimed to amend a number of decrees on business investment requirements in accounting and auditing; lotteries, prize-winning electronic games for foreigners, crediting service, casino, betting, service for voluntary pension fund management; insurance; price assessment; and securities trading, said BVSC in its latest report. Some notable changes in securities trading sector including: reducing the minimum charter capital for securities dealing from VND100 billon (US$4.29 million) to VND50 billion (US$2.14 million); cutting down the required years of experience for General Director/Director of securities trading organization from 3 years to 2 years;. In addition, the decree abolishes the requirements for organizations contributing capital to establish the securities trading organization without accumulated losses; changes the conditions for the securities company to be allowed to implement deposit and transaction within same day; and slashes two conditions for securities companies performing margin trading. Reduction and simplification of investment and business requirements are important policies of the government for significant changes in the business environment and competitiveness of the economy. Recently, the Law on Securities (amended) has been incorporated into the Law Enforcement Program. Accordingly, during the drafting process, the drafting board and the Ministry of Finance will continue to review regulations to reduce not only business requirements but also other unreasonable regulations to support enterprises. For the first time, three hundreds of ban (orchid) flower tree from the northwest mountainous region are on display at Ha Noi Museum. VietNamNet Bridge – Ha Noi FC moved back to the top of the V.League after an impressive 4-0 victory over Song Lam Nghe An.